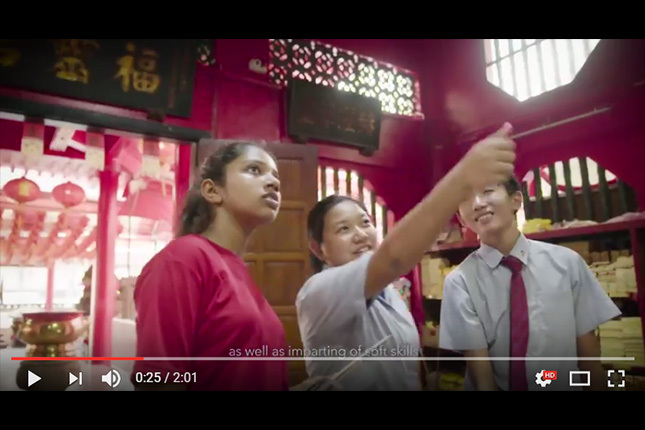 National Heritage Board’s Trail Adoption Scheme encourages students to explore the heritage of the area they live in and provides students with interesting, fun and exciting ways to learn their Mother Tongue, as well as foster public speaking skills. NHB's Heritage Education Programmes aim to instill a love for heritage, as well as make heritage and museums fun, enjoyable and relevant for our young, starting from pre-school all the way to tertiary. The Heritage Education Programmes encourage students to go beyond the confines of their classrooms and the formal school curriculum to experience and discover our history and heritage in a meaningful manner. The programmes are also ways for educators to be creative in using our heritage programmes as teaching tools to complement existing subjects such as CCE, History and Social Studies.